NEW STOCK NEVER BEEN USED. The HR 3040 power harrow prepares the ideal seedbed, even in difficult conditions, by adapting to working conditions in real time. In-cab, hydraulic adjustment of working depth and levelling bar comes as standard. 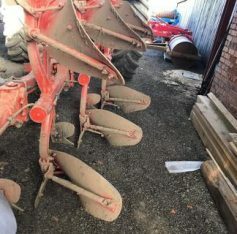 The levelling bar height remains the same when the working depth changes because the levelling bar is connected to the roller frame. – Side deflectors with spring safety fitted with separate wear part. – Central gearbox with continuous cooling system. It takes only 10 minutes to change your soil preparation tool! – The power harrow’s working height can be continuously modified without having to adjust the coulter bar. The HR 3040 power harrow is designed to work in combination with pneumatic or mechanical seed drills. It can adapt to any type of tractor up to 300 hp.